Spanish wines and spirits producer Diego Zamora Group is introducing new packaging for Villa Massa limoncello. Launched to coincide with the brand’s 25th anniversary celebrations, Villa Massa’s evolutionary redesign communicates its authenticity and premium position in the market. The new packaging is available this month worldwide in 70cl bottles, with the rest of the portfolio rolling out in July. Key design changes modernise the bottle and reflect the quality of this Italian liqueur, educating consumers and encouraging trial. A refreshed taller bottle has Villa Massa etched into its iconic frosted glass and a larger cap displays the words Ricetta Familiare, paying homage to the family recipe that dates back to the 1890s. On the front label the brand story is told through a captivating illustration of the Massa family villa, the family crest and signature, the Italian flag and the words: Piano di Sorrento – Italia. There is also a bold category and origin reminder, Limoncello Liquore di Limone di Sorrento, to reinforce that Villa Massa is made in Sorrento, Italy. On the back label, the ‘best served ice cold’ message is highlighted together with the new aperitivo signature serve, Villa Massa & Tonica, which is Villa Massa and tonic served long over cubed iced and garnished with fresh basil leaves. Founded by Stefano and Sergio Massa in 1991, Villa Massa was the first company to commercialise an artisanal limoncello available in Italy and abroad. Premium limoncello is growing faster than the overall category (5% vs 2%) and within premium limoncello, Villa Massa is the market leader, holding a 36% value share (according to IWSR figures). 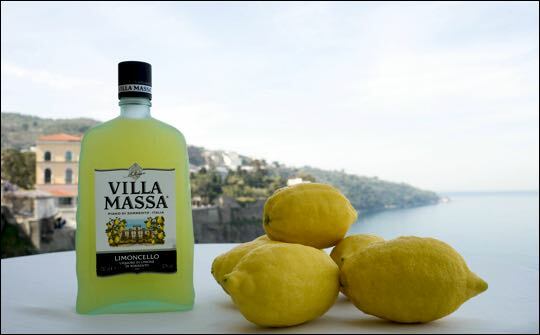 What makes Villa Massa different from other limoncellos is its consistent, fresh and balanced taste - ‘just like mamma’s limoncello’ - achieved by using only the peel of PGI Sorrento oval lemons, with no added flavouring or colouring. Villa Massa is the only limoncello to have its own lemon groves, Le Grottelle, which are open to the public and still managed by the family today.